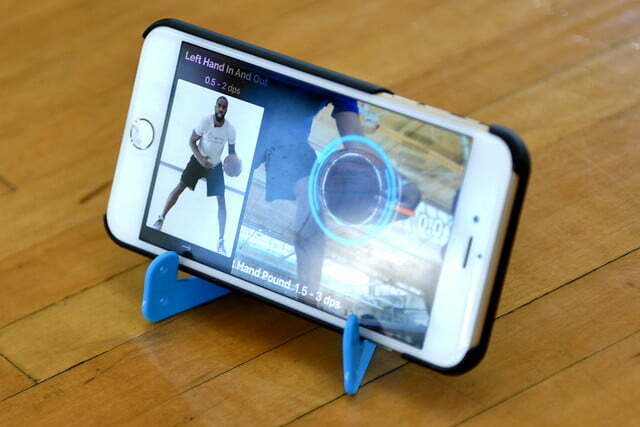 The DribbleUp is a smart basketball aiming to help you dribble like a champ. For some basketball purists, dribbling and ball handling are a lost art. Shooting tends to get the spotlight because it’s what racks up the points, and the likes of Stephen Curry effortlessly wowing crowds only serves to bolster that perception. 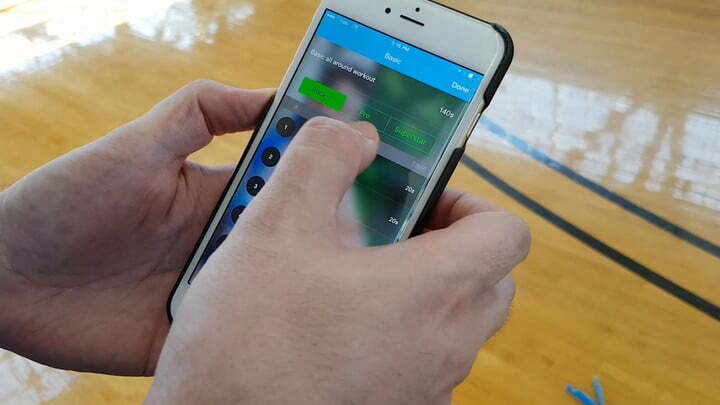 There are smart basketballs to help would-be ballers boost their shooting, but startup DribbleUp is taking on dribbling as its core feature, using its own smart basketball and your phone’s camera to track your mechanics and progress. Digital Trends took the ball for a hands-on training session to see just how soft our touch could be. 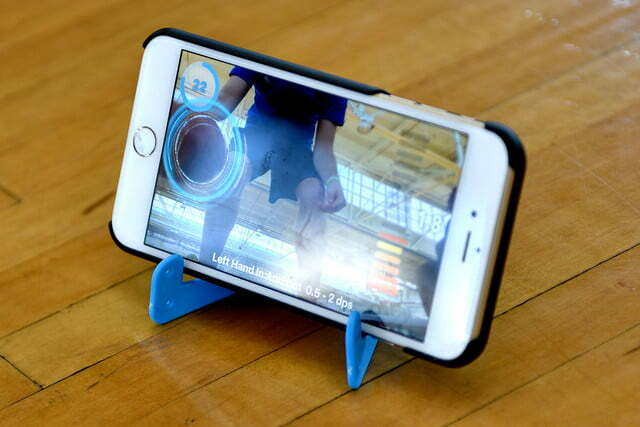 The company was founded by two brothers, Brooklyn natives Eric and Marc Forkosh, whose vision was to give everyone a chance to utilize a virtual coach for dribbling when a real one would otherwise be unavailable or too expensive. The DribbleUp ball and app are the culmination of that effort. The ball is official NBA size; the same color and texture give it an authentic feel. Mind you, this is a softer microfiber finish that may or may not feel right, depending on your preferences. Initially, I wasn’t entirely sure if the ball’s bounce was accurate, which was obviously important for a smart basketball meant to improve dribbling. Letting it bounce on its own from about six feet, I had the impression the ball died sooner than an official one would, and I was on a regulation gym floor. Once I got to dribbling around with it, and then with a regular ball afterward, any angst I had was assuaged. Other smart basketballs, like the 94Fifty and Wilson X, have hardware inside the ball that push data to an accompanying app. The DribbleUp initially fooled me into thinking it had a sensor as well, not just because it’s a connected device but because of how it’s tracked. 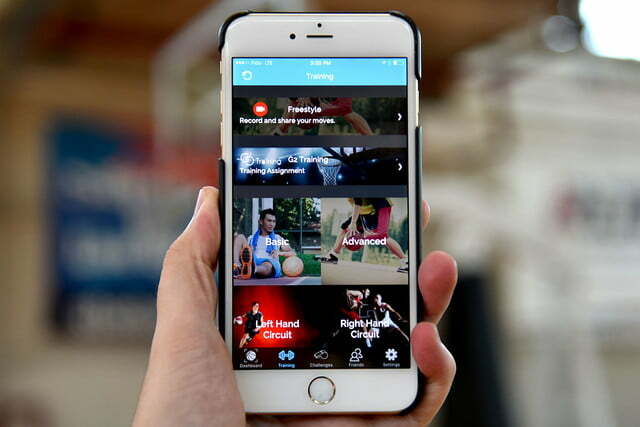 The founders claim theirs is the first smart basketball not to have a battery or sensor inside. Instead patented vision tracking algorithms lock onto the ball’s surface to track its location in real-time. It can predict where the ball is even when it disappears and reappears again from the camera’s view. A regular ball can’t be tracked at all because of the unique surface on the DribbleUp. The ball is official NBA size, with the same color and texture to give it a more authentic feel. The free app for iOS (no Android yet, but it’s slated for a winter release) starts off with a tutorial highlighting how the ball interacts with the app through the front-facing camera, so that you can see how you’re doing. The phone rests on a blue stand with an upward tilt to create a better line-of-sight from the camera and on back. A free DribbleUp account is required to track data, but there are no subscription fees or in-app purchases. With few pieces to set up, getting started took about five minutes or so. To kick off a training session, I turned the ball’s logo to face the camera so the app could calibrate, with my phone resting on its stand. At first, I had no indication it actually saw anything, so 30 seconds went by without much happening. A second attempt did the trick: a blue halo finally appeared around the ball after a few seconds, so it must have been a momentary glitch the first time. During a training drill, the app displays a meter on the right indicating dribble speed by dribbles per second (DPS) or crossover per second (XPS). The idea is to maintain speed between the two orange bars highlighting the target speed range. Drills can vary by duration, but 20-30 seconds is fairly standard throughout. Each workout has a set number of drills that are done in sequence, so there is no pausing between them. Results include numbers data and a letter grade based on performance. Drills are separated between Rookie, Pro, and Superstar. It’s also a graduated system, where workouts are broken up: two per day for 30 days worth of skills to practice. The next day’s workouts stay locked until you’ve completed the previous one and the clock passes midnight — at least for the first run-through — and any workout can be redone for a better score any time after it’s been completed. The workouts seemed easy, only to change quickly once the drills start. Dribbling and crossovers are fine when time isn’t a concern, but with the clock counting down and the meter highlighted, the sense of urgency in handling the ball well was noticeable. I was never a point guard when I played basketball, but rather a small forward or center. Plus, when shaking off rust, form and mechanics take a hit. Seeing poor grades on some drills did goad me to take another crack. That was a good sign for this ball. The co-founders want to build more awareness by adding competition to the mix, so there’s a social aspect to DribbleUp: Friends can connect through the app, challenge each other, and compare scores on a leaderboard. A freestyle option under the Training section will record any moves and combinations a user would want to share. A key part of ball handling is passing, both in dishing it out and receiving the ball. DribbleUp doesn’t have drills to improve that facet of the game, so there is something missing in the grander scheme of non-shooting mechanics. I’m not knocking DribbleUp for that, however; it’s very name already implies where the focus is. Still, it would be cool if two phones could track two users passing the ball back and forth. That may be too much to ask for, given that this is offering a fairly stationary type of training. Tracking requires the ball be seen, and it may be too hard to expand on that under the current setup. The lack of shooting drills might also seem like a major omission, but that’s where competitors’ smart balls come in. I liked that the DribbleUp ball could be used indoors and outdoors, and was perfectly fine in a pick-up game. The basic setup does mean the ball could be used anywhere, even while traveling. 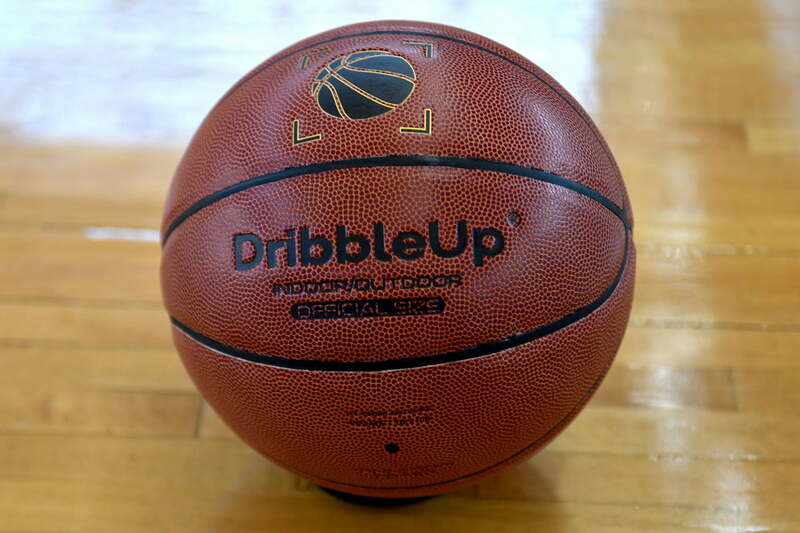 The DribbleUp is a smart basketball that’s not that much different from a regular one, which seems to be the point. Learning to dribble and crossover should feel natural with a ball that close to the real deal. I can’t say I felt that way the entire time, but it didn’t take long for the setup and system to grow on me. Coaches and parents might find this appealing for similar reasons in helping kids grow confidence in their abilities. The price is also reasonable at $80, making it far less expensive than the other smart basketballs currently available. DribbleUp is selling directly through its website, and retail availability is coming soon.